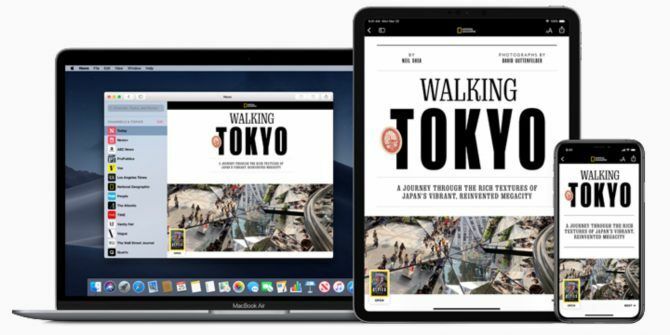 Apple has launched Apple News+, a new subscription service that gives you access to hundreds of newspapers, magazines, and online publications. This is, essentially, a kind of Netflix for magazines, or, perhaps more fittingly, Apple Music for magazines. Apple News+ will enable subscribers “comprehensive access to over 300 publications”. On offer are a mix of newspapers, magazines, and online publications, including The Wall Street Journal, Vogue, People, Sports Illustrated, TIME, WIRED, and TechCrunch. The publications will be displayed with “animated covers, vivid photography and bold typography optimised for iPhone, iPad and Mac”. Issues and articles will be recommended based on curation and personalization, all while maintaining user privacy. Check out our getting start with Apple News+ guide Getting Started With Apple News+: Everything You Need to Know Getting Started With Apple News+: Everything You Need to Know The new Apple News+ subscription allows you access hundreds of magazines and newspapers for one low price. Here's how it works. Read More for more details. Apple News+ is initially available in the U.S. and Canada. You can sign up for a free one-month trial, after which you’ll be charged $9.99/month in the U.S. and $12.99/month in Canada. Apple News+ will be launching in the UK and Australia later this year. Subscribing to Apple News+ will buy you access to all current and past issues. Apple claims that subscribing to all of the publications included in Apple News+ individually would cost you $8,000/year, making the $120/year sound like a steal. Existing Apple News users should rest assured that Apple News+ is an upgrade on the standard offering, which will continue to be available for free. By enabling Family Sharing Set Up Family Sharing & Share Apps, Music & Other iTunes Purchases Set Up Family Sharing & Share Apps, Music & Other iTunes Purchases You and your family members probably have separate iTunes accounts for your app and music purchases, but there's no reason you should be paying for the same apps multiple times. Read More one Apple News+ subscription is accessible by up to six family members. Explore more about: Apple, News, Subscriptions. Err could basically get the same with Google news for $0.00/month which will cost you $0.00/year. Is that better than $120.00? ?